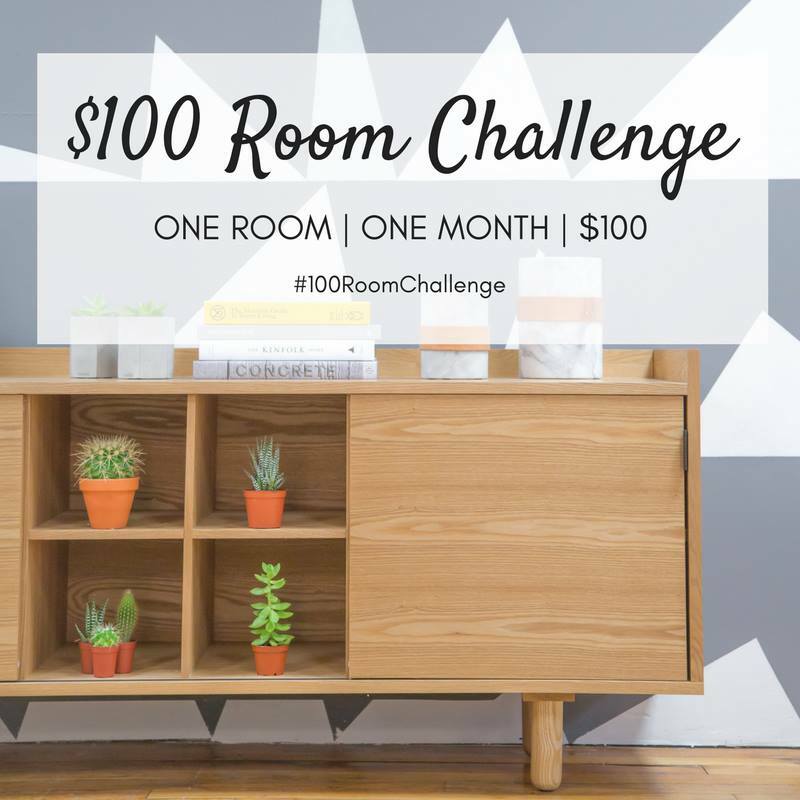 For the month of March, I’m participating in the $100 Room Challenge. 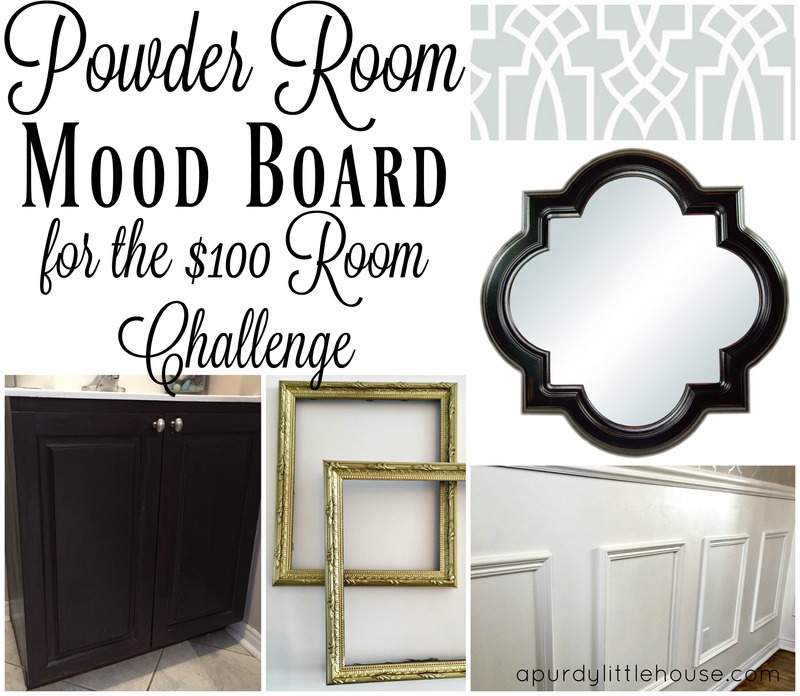 The concept is to team up with other bloggers and we all have to complete a whole room transformation using only $100.00. I’m all about thrifting, upcycling and finding sales, so this challenge is right up my alley. 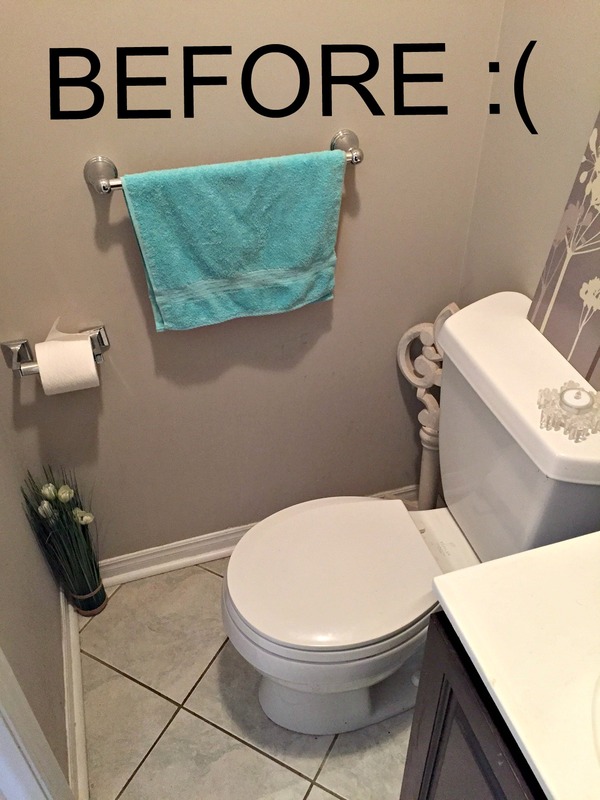 Plus, at the end of the month, we all get to see the amazing transformations of my fellow bloggers and how they updated their spaces for only $100 bucks!!! 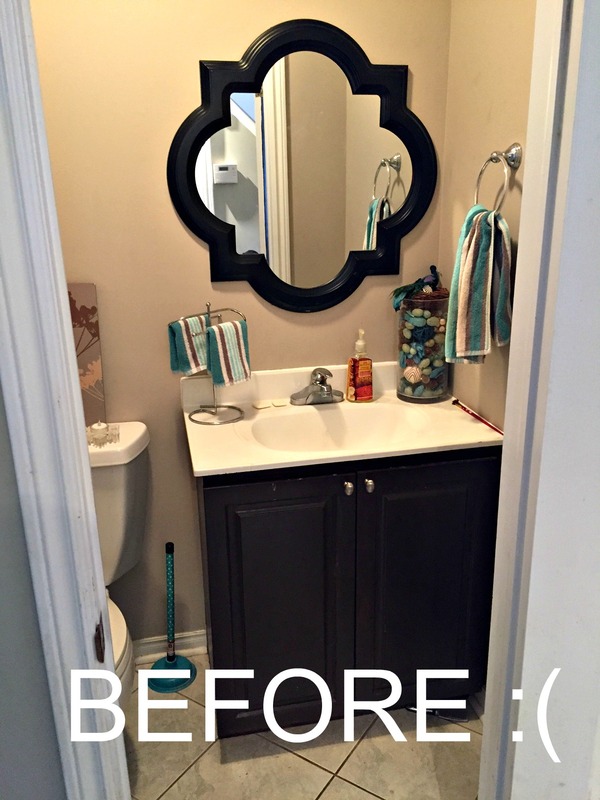 For my room, I’ve decided to complete a Powder Room Update. This is my mood board for the general look and feel I’m going for. Keep in mind, I’m only allowed to spend $100, so this is going to take some creativity. Each week, I’m going to provide you with an update and photos on how my project is coming along and keep track of how much I’ve spent. Full disclosure, I do have some of the items already that were intended for the trash, but instead of throwing them out, I’m going to be reusing them in this space. I’m sure there will be some adjustments as I go, but that’s all part of the fun. I love that mirror! I’m glad it is staying. I think the wainscoting is going to make such a difference!!! Love your design inspiration! Can’t wait to see it all pulled together! Thank you Natalie. It’s chugging along, and getting closer and closer to looking like the mood board. 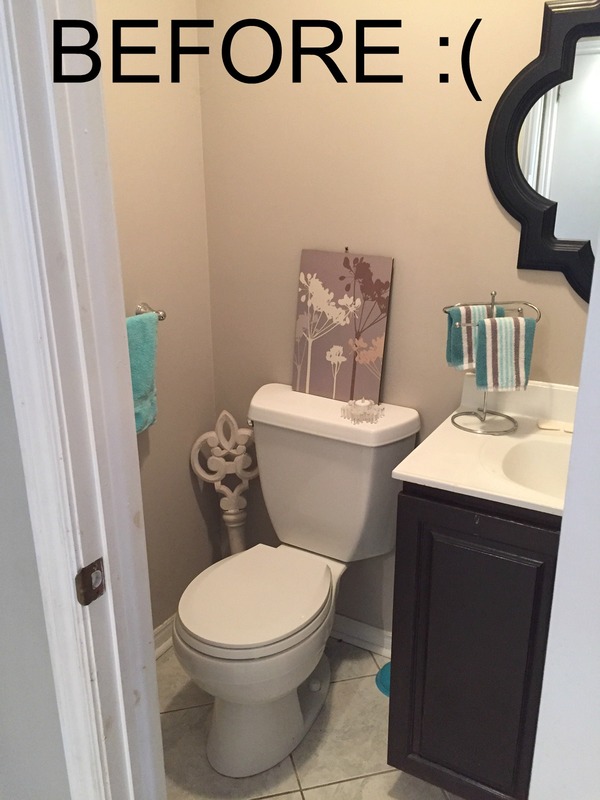 Love where you’re going with this space. It looks like it’s going to be much brighter, but more serene. Can’t wait to see what you do… and I’m so excited to have you join the challenge! Thanks so much Erin, and I’m so excited to be part of this challenge. It’s forced me to be creative to stay on budget, but I’m having a lot of fun. Thank you for hosting. I love that you’re keeping that cool mirror! It is such a great focal point. Thanks so much Sarah. I do love that mirror, and I think it was the first thing I bought when we moved.